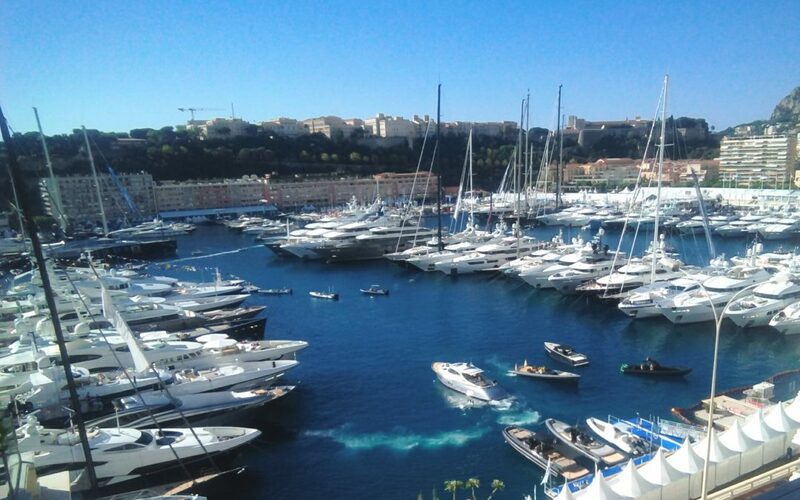 Now that the waves have settled and as the main charter season comes to an end, one might say it is the perfect time to reflect on this year’s Monaco Yacht Show. 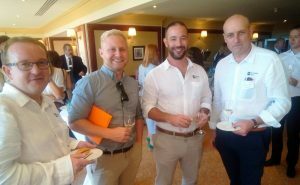 Once again the Isle of Man was well represented at this year’s show but this year, the Isle of Man flag flew ever higher with the Isle of Man SuperYacht Forum hosting an extremely well attended presentation and networking reception. 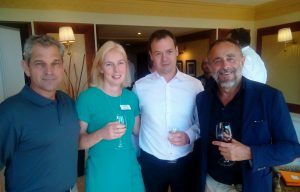 The event was held at the prestigious Metropole Hotel and was attended by over eighty delegates including some of the most influential companies and individuals within the superyacht industry. The wide range of delegates included captains, lawyers, insurers, family offices, management companies, brokers, surveyors, technical specialists, security and cyber specialists and registries. The event was suitably named ‘A Superyacht in Crisis’, the theme for which focused on a fictitious scenario about a superyacht, ‘M/Y Solarflare’, which was owned by a billionaire IT magnate. With celebrities on board, the yacht collided with another yacht in a marina after an unscheduled engine shutdown. This resulted in the holing of the vessel, leading to a large amount of oil leaking into the marina. In an attempt to prevent the collision a crew member was seriously injured and another crew member was tested and found to be under the influence of alcohol. It was also suspected that there was a drink and drugs culture with the crew and possibly the guests. The scenario formed the basis of the ensuing panel and audience discussions. The event commenced with Mike Dean, Chairman of the Isle of Man SuperYacht Forum, giving the history of the Forum, the extensive involvement of the Isle of Man in the superyacht industry and the outline of the day’s schedule. To set the scene, Pat Adamson and his team from media response specialists, MTI Network, presented a video of the scenario as if it was being reported by the news networks, demonstrating how a situation can quickly spiral out of control if those involved and responsible do not understand how to deal with modern day media – particularly with the involvement of a newsworthy owner and his guests together with speculation that drink and drugs may have contributed to the accident. Delegates were given a tutorial on how to handle the media, including social media, in this type of scenario before, to their surprise, being involved in a media ambush. The ambush both demonstrated and highlighted the types of problems which can arise with little or no understanding of how to handle the press in such scenarios. The MTI team posed as reporters with microphones and cameras putting interviewees under considerable pressure to answer questions about the incident. 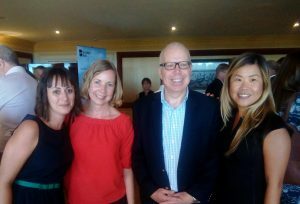 The event was chaired by Ken Hickling of Inserve Yachts, former President of the International Superyacht Society and Executive Committee Member of Superyacht UK, who introduced a panel of industry specialists. The panel included four Forum members, who discussed the incident and how it should be handled by all those involved from the Captain to the Crew, to the management company, the lawyers, insurers, Flag State and any emergency response organisations. There followed a lively and informative one and a half hour interactive discussion between the panel and audience. MTI had highlighted the growing influence and invasiveness of the media, especially social media, as well as the growing problem of hacking. This led onto a session on Cyber Security headed by three specialists from the Forum; Ian Comish, Riela Cyber Security Centre; Bryan Beesley, KPMG and Ben Hextall, OveanWeb; who discussed and emphasised the dangers and possible preventative solutions. 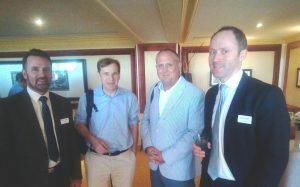 The final presentation was on Brexit, fronted by Paul Cawley of KPMG, who looked at how the Isle of Man and the superyacht industry might be affected. 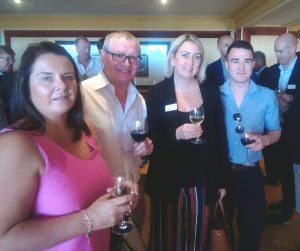 The event closed with a drinks and canapes networking reception in the Salon Mediterranee where all delegates were invited to visit the Isle of Man stand over the following four days of the Yacht Show. 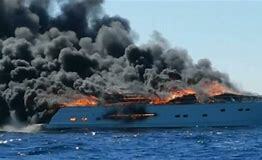 A superyacht has suddenly become involved in a crisis which has the potential to escalate. You, or your organisation, are directly or indirectly affected by the situation. Are you prepared? Have you the knowledge, experience and confidence to handle it? The Isle of Man SuperYacht Forum is hosting a conference, which will address this highly sensitive and potentially contentious subject, with a team of leading specialists from the Forum and the Superyacht and associated industries. 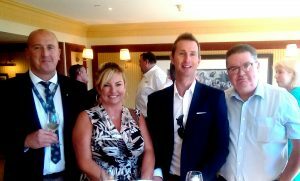 The event is being held on the 25th September 2018 (the day before the 2018 Monaco Yacht Show commences) at the Metropole Hotel in Monaco, and will consist of a number of presentations and panel sessions which will be interactive whilst structured to be informative, educational and memorable. The event will commence with on screen breaking news coverage of a crisis on board a yacht and other examples of media coverage of similar incidents. Various emergency response and preparedness scenarios will also be discussed including grounding, collisions, pollution, fire, injury and crew and passenger issues. This will be followed by a discussion by a panel of specialists representing sectors of the industry likely to be involved in the crisis – the chain of command, responsibilities, communication, solutions – with the objective of controlling the situation and preventing an even more serious situation. The audience will be involved with the discussion. With hacking and cyber warfare becoming an ever growing threat and having the potential to cause a crisis or exacerbate an existing situation, there will also be a presentation from Forum members who have extensive experience in the cyber security market, on the current situation and how to prepare for likely future threats. The ability and experience to handle the media in fast evolving events and fluid situations is vital. To address this, the event will also provide a media response tutorial directly involving the audience which promises to be educational – and memorable! Finally there will be a presentation on the current status of Brexit and how the Isle of Man may be affected before the event closes with a lunchtime drinks and canapes networking reception. This is an event that will be highly beneficial to all those involved in the duty of care and the safe management of a superyacht. If you want to find out how to prepare for and handle a crisis, book you place with the Isle of Man SuperYacht Forum. Places are limited and will be strictly allocated. To book your space, please email info@iomsf.im providing your name, professional role and name of organisation or vessel. 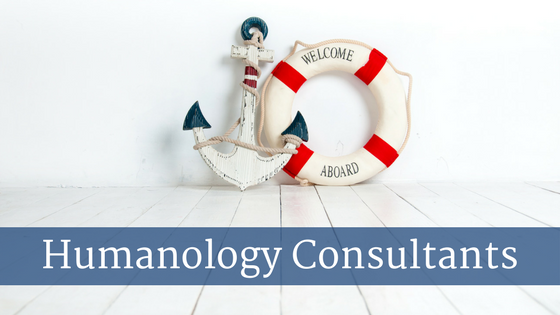 The Isle of Man SuperYacht Forum is pleased to welcome our newest Associate Member, Humanology Consultants. Humanology Consultants is a HR consultancy that specialise in strategic HR projects and has over 25 years experience in generalist HR up to board level in global shipping and oil and gas companies. They offer support on all people matters including competency management, succession management, fleet expansion, implementation of crewing systems, employment law and contracts and more. For more information, check out their Member profile here. 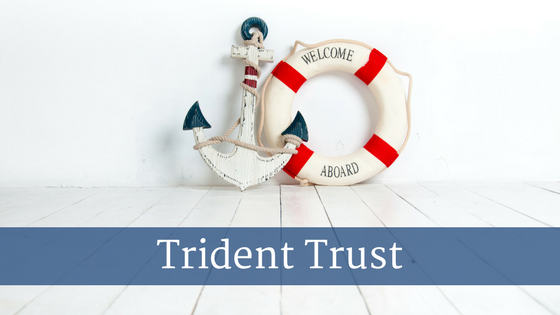 The Isle of Man SuperYacht Forum is pleased to welcome our newest Associate Member, Trident Trust. Trident Trust is a leading global provider of corporate, fiduciary, fund and marine services. They offer a comprehensive professional service for merchant vessels and yachts, registered under the Isle of Man Ship Registry or with maritime registries in other jurisdictions. For more information, check out their Member profile here. The Island’s biggest and most varied business conference is back for a third year as ISLEXPO returns to the Villa Marina on the 16th May 2018. ‘I’m delighted to announce the exciting return of ISLEXPO for 2018. The theme of ‘locate’ could not be more pertinent with concerted efforts around the Island focussed on removing barriers to attract more skilled workers, boosting our reputation, and supporting our local businesses. As the new Department for Enterprise emerges we are seeing our diverse economy continue to expand with successful growth from real businesses, delivering real jobs and we need more people to support these opportunities. 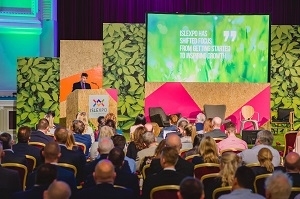 1,700 delegates attended ISLEXPO 2017, a 70% increase on ISLEXPO 2016, with 92% stating they would attend again next year. The 2018 event will be focussed on attracting and retaining talent, future proofing the Island’s job market, export and expansion, funding and a fresh focus on local food and drink and the creative industries. Hosted by the Department for Enterprise, ISLEXPO 2018 will be co-ordinated by local events and marketing consultants, Revel.